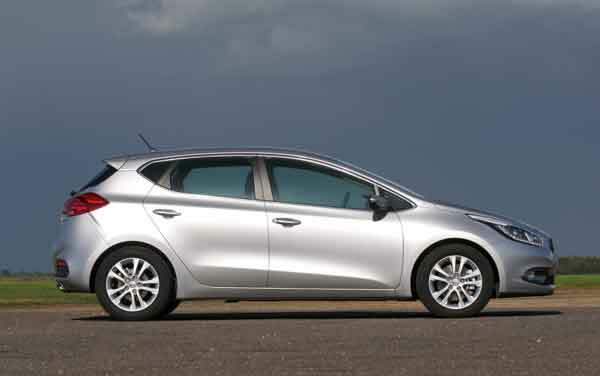 Designed and engineered with Europeans in mind, the Kia cee’d is hard to beat.Inside it is classy and everything from the switches to the controls are of a decent quality. It is sharp to drive, well-equipped and refined. Kia offers the choice of 1.4 petrol and two diesel engines, 1.4 and 1.6. Both offer good average fuel consumption and CO2 emissions drop are as low as 97g/km for the 1.6-litre diesel model. With a very tempting seven-year transferable manufacturer’s warranty, the cee’d is a car that makes a lot of sense and should be on your must test-drive list. Our Opinion: The cee’d is fun to drive and while purists may argue that rivals such as the Golf or Focus have better driving dynamics, when you consider fuel economy, equipment and the seven-year warranty, it would be hard to find a better overall package.